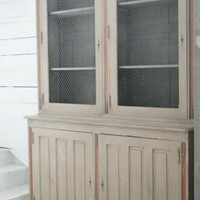 Circa 1820, Irish George IV mahogany bookcase/whatnot. The top narrow shelf has a three quarter wrap around gallery with typical Irish carving in the centre of a fan and some roundels, and a shaped return on the sides. This shelf is held in position by 2 turned columns, and at the side there is also similar shaped pilasters which run down the entire length. These are held in place on a solid block which is shaped, and the shape continues down the side extending between each of the shelves. 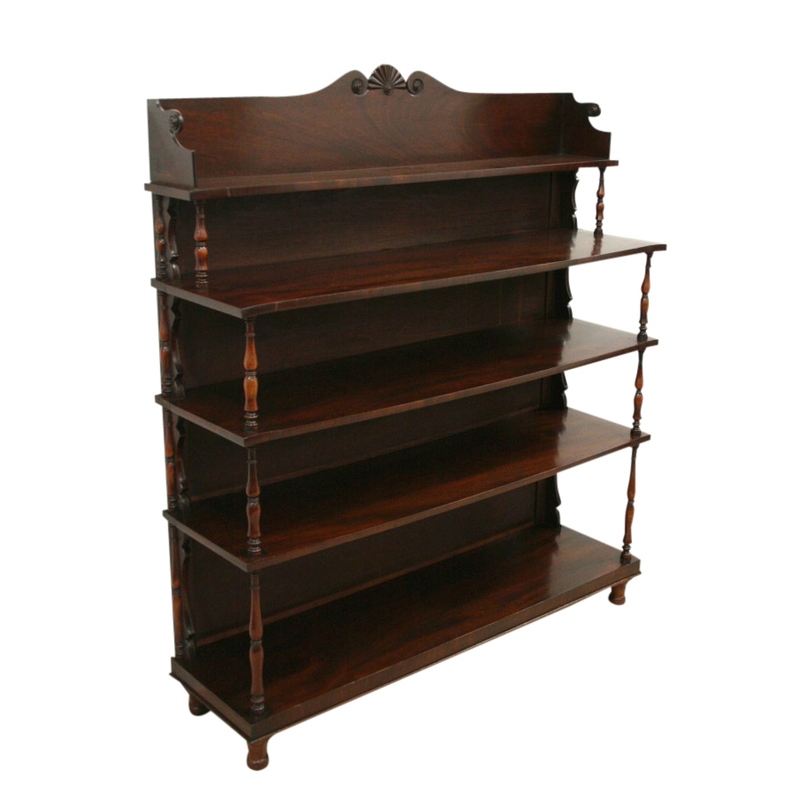 Beneath the top section are four further shelves and each of these are mahogany with crossbanded moulded front, and turned columns all the way down. The piece has a stained pine back and stands on four turned legs. An unusual piece of furniture of this period. Lovely colour and patination.